The bass spawn begin recently and continues with the fish moving shallow, reports Scott McGlinchey. Video Fishing Tip of the Week featuring Doug Wynn explaining how to use planer boards. 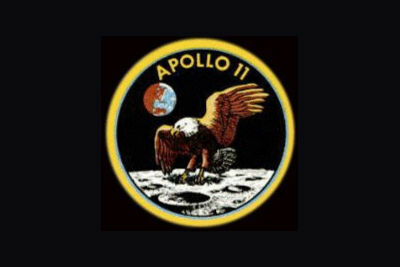 The Golden Pond Planetarium will be hosting the annual Astronomy Day on May 11 from 10:00 a.m. to 4:00 p.m. Here is your chance to win a vacation to Kentucky Lake! Enter to win a two-night stay at Lynnhurst Family Resort. The World's Biggest Fish Fry is happening this week in Paris, Tenn. - one of the largest events in our region. Kentucky Lake is one of the best lakes for sport fishing in the country, whether it is crappie, bass, bluegill, or catfish you're hunting. Kentucky Lake is also home to outstanding recreational boating, from jet skis to ski boats to pleasure boating. Sail the lakes, or rent a houseboat and have a good time! Lake Barkley is a younger lake and is slightly smaller than Kentucky Lake, but still offers the same great fishing experiences and boating opportunities you'll find on Kentucky Lake. There are several full-service marinas, resorts, and campgrounds along Lake Barkley to make your visit a pleasurable one. Enjoy a vast uninhabited land full of small lakes, wildlife, historical attractions, and trails. The Land Between The Lakes is perfect for those who love to be outside. Take a step back in time at The Homeplace 1850s, or see live animal exhibits at the Nature Station, or catch a show at the Planetarium. Together, Kentucky Lake and Lake Barkley form the largest body of water between the Great Lakes and the Gulf of Mexico. With over 210,000 acres of water, Kentucky Lake and Lake Barkley provide plenty of room for fishing, boating, and outdoor recreation. Bass fishing is outstanding and the lakes provide some of best crappie fishing waters anywhere. The area that makes up Kentucky Lake, Lake Barkley, and Land Between The Lakes is truly an outdoorsman's paradise. We have world-renowned fresh water fishing with largemouth and smallmouth bass, crappie, bluegill, catfish, sauger, and much more. Our fishing reports offer the very latest in what's hot: species and their fishing patterns, water conditions, and everything else you need to prepare for your next fishing trip. 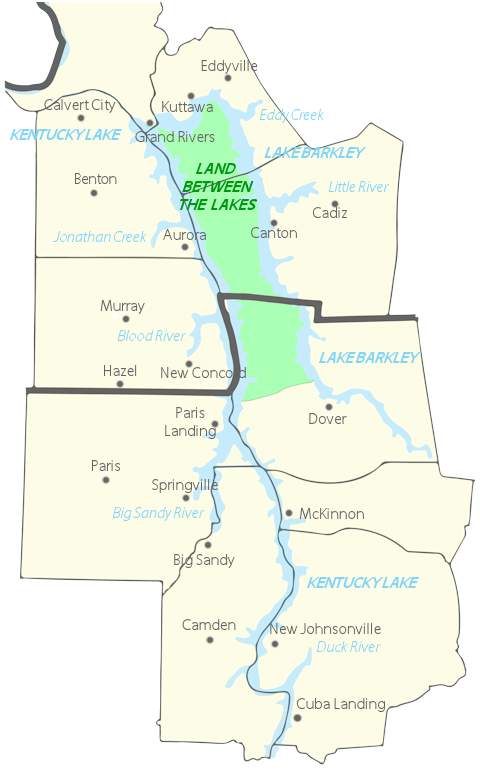 Land Between The Lakes (LBL) is a unique 170,000-acre National Recreation Area situated between Kentucky Lake and Lake Barkley. Key attractions include The Nature Station, Elk & Bison Prairie, Golden Pond Planetarium, Homeplace 1850s, and Turkey Bay OHV Area. With so many things to explore around Kentucky Lake, Lake Barkley, and Land Between The Lakes, you can choose to make a day of it or a week of it. Start planning your trip to the Kentucky Lakes Area today! The sun rises over Kentucky Lake on a cool, crisp January morning at Kenlake State Park's amphitheater.